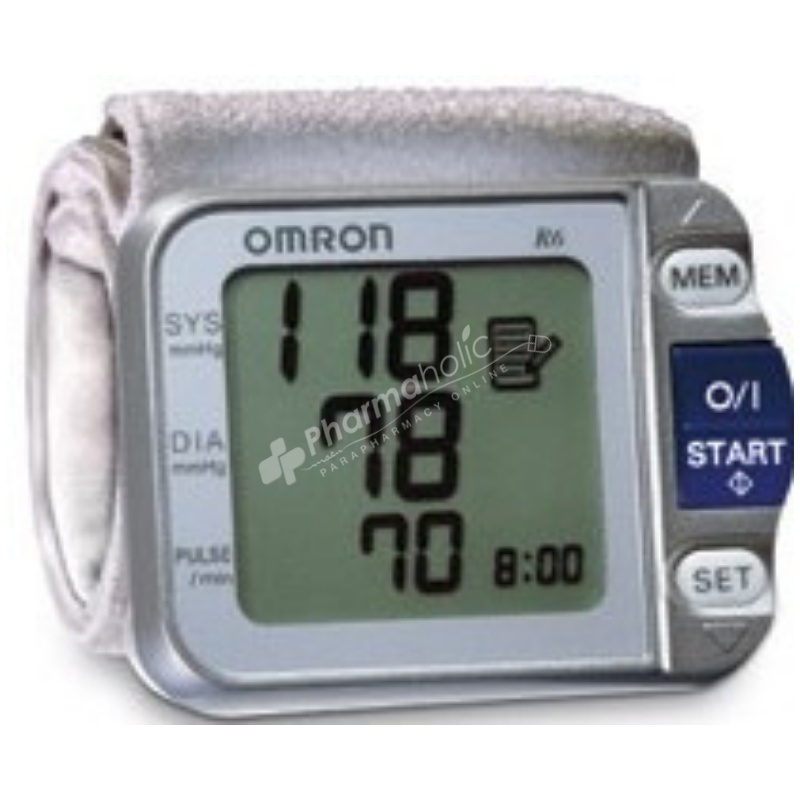 Omron R6 Wrist Blood Pressure Monitor is a compact and easy to use blood pressure monitor, operating on the oscillometric principle. This well designed wrist monitor comes with memory for two users and a easy to read Blood Pressure level indicator allowing you to easily see if your readings are with in the Guidelines set by the World Health Organization. The OMRON R6 is a compact and easy to use blood pressure monitor, operating on the oscillometric principle. This well designed wrist monitor comes with memory for two users and a easy to read Blood Pressure level indicator allowing you to easily see if your readings are with in the Guidelines set by the World Health Organization. It measures your blood pressure and pulse rate simply and quickly. For comfortable controlled inflation without the need of pressure pre-setting or re-inflation the devices uses its advanced "IntelliSense"-technology. This product is designed to measure the blood pressure and pulse rate of people within the range of the designated wrist cuff, following the instruction manual. It is mainly designed for general household use.